"King Picked for the Finns Is Brother-in-Law of Kaiser"
Duke Adolf Frederick of Mecklenburg-Schwerin , who had been nominated for the throne of Finland and had been accepted by the picked legislative representatives of the former grand duchy, won over to the German cause, has withdrawn from the race. Emperor William's  brother-in-law, Prince Frederick Charles of Hesse , has been substituted in his stead, according to cable dispatches from Stockholm, and his election as King of Finland is to be confirmed by what is now known as the Finnish diet within the next few days. It is difficult to understand why the change should have been made in this choice of a ruler for Finland, for Duke Adolf Frederick is a man of much energy, administrative experience and resourcefulness; a sportsman, a celebrated African explorer and who at the beginning of the present war was governor general of all Germany's possessions in the western portion of the Dark Continent. He is the best four-in-hand whip in Germany, and won the long-distance ride from Berlin to Constantinople. Presumably the trouble in his case has been his morganatic household and his refusal to get rid of his morganatic wife in order to wed a woman of his own rank and to found a dynasty. Prince Frederick Charles of Hesse, on the other hand, is a rather indolent man, devoted to music and to other arts and almost wholly blind, which forced him to retire from the army a few years before the war. His elder brother, Landgrave Alexander of Hesse , is completely bereft of his sight, and until the fall of 1914 was won to divide his time between Paris and London, moving more particularly in the musical circles of these two cities. He is a wonderful musician, has achieved considerable fame as a composer and received much of his education at the celebrated college for the blind near Sydenham, one of the suburbs of London. There was a still older brother, William by name , who disappeared in the most mysterious fashion in 1888 while on a trip round the world. During the voyage from Singapore to Java he left his traveling companions on deck after tiffin, announcing that he was going to take a siesta in his stateroom below. He was seen to go below, but from that time forth vanished completely from human ken. No one saw him fall overboard, and the porthole of his cabin was too small to admit of his making use of it to jump into the sea. His disapperance remains to this day one of the many mysteries of that mysterious Indian Ocean. But it is ascribed to suicide, caused by despondence arising from the conviction that he was becoming blind. Why Prince Frederick Charles of Hesse should entertain any desire to become King of Finland is simply incomprehensible. He must know that his tenure of the Finnish throne cannot be other than short lived, since it would inevitably come to an end with the kaiser's final defeat by the powers of the entente, now already within sight. Unlike Duke Adolf Frederick of Mecklenburg-Schwerin, he is very rich, indeed, in his own right and has a very wealthy wife in the kaiser's sister, Margaret , who as the favorite daughter of Empress Frederick  inherited the bulk of her mother's large fortune, her wonderful collection of jewels , some of the finest thereof bequeathed to the late empress by the Franco-Genoese multimillionaire Duchess of Galliera , and last, but not least, her mother's beautiful palace and estate of Friedrichshof , in the neighborhood of Homberg. Friederichshof is crowded from cellar to garret with wonderful art treasures collected by Empress Frederick, many of them being gifts of the late Sir Richard Wallace, and gems of the famous Hertford collection . It is such a beautiful home that it is amazing that either Prince Frederick Charles or his wife should care to abandon it for the commonplace banal palace of the governor general of Finland at Helsingfors , in a country that is still seething with revolution, civil war, and anarchy, a large proportion of the population being in favor of a republic and bitterly opposed to any German-born ruler nominated by or connected with the kaiser. 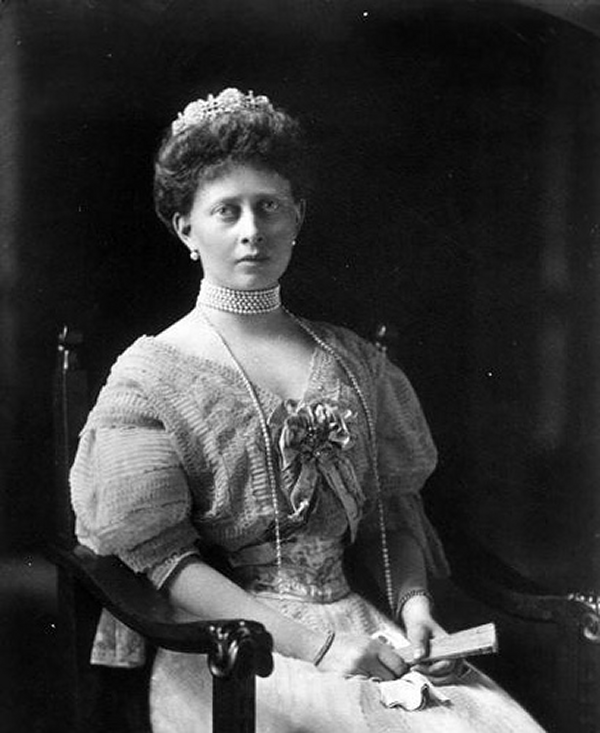 Prince Frederick Charles's mother was the late Dowager Landgravine Anne , born a princess of Prussia, and who angered the kaiser by becoming a convert to Roman Catholicism. She entertained for the emperor the most intense contempt, lost no opportunity of openly deriding him and never made any concealment of her sentiments with regard to him. Indeed, there are some who insist that in abjuring Lutheranism for the Church of Rome she was prompted more by a desire to exasperate him than by any religious feeling. She was a sister of that Prince Frederick Charles of Prussia  known as "the Red Prince" to whom Bazaine surrendered Metz in 1870; was a daughter therefore of old Emperor William's younger brother, Charles , and a granddaughter of Prussia's famous Queen Louise , who played so important a role in the Napoleonic wars in the early part of the last century. On the blind Landgrave of Hesse's death his brother, Prince Frederick Charles, will inherited all his extensive entailed property and fortune, this particular branch being the richest of the entire house of Hesse. Twins are the exception rather than the rule among the sovereign dynasties of Europe. But Prince Frederick Charles's sons include two lots of them. His eldest son, Prince Frederick William, now 25 years of age, is a major of the sixth regiment of Prussian Lancers . The second son, Prince Maximilian , who was mortally wounded in the fighting around Hazebrouk in the early stages of the present war, was tended until his death by the abbot and monks of the famous Trappist monastery of Mont des Cats. Where the abbot has interred the prince's remains he has refused to make known to the kaiser or to any of the young prince's other relatives until the Germans liberate and vacate Belgium. Meanwhile, the location of the grave remains shrouded in mystery. 1. Duke Adolf Friedrich of Meckleburg-Schwerin (1873-1969) was a member of the German ducal family of Mecklenburg-Schwerin. He was the son of Grand Duke Friedrich Franz II of Mecklenburg Schwerin and his third wife, Princess Marie of Schwarzburg-Rudolstadt. 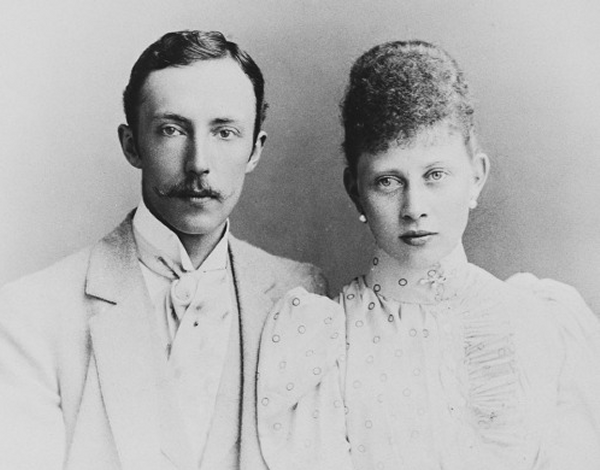 His siblings included Duke Henry, the consort of Queen Wilhelmina of the Netherlands; Duchess Marie, who became better known to history as Grand Duchess Vladimir; and Grand Duke Friederich Franz II, whose daughters became Queen Alexandrine of Denmark and Crown Princess Cecilie of Germany. Duke Adolf Friedrich was married twice: first to Princess Viktoria Reuss of Schleiz (1889-1918), member of a cadet branch of the House of Reuss, and then after her death to Princess Elisabeth of Stolberg-Rossla (1885-1969), the widow of his half-brother, Duke Johann Albrecht. From his first marriage, he has one daughter, Duchess Woizlawa Feodora (b. 1918), who will turn 100 this December. She was a bridesmaid at the wedding of Queen Juliana of the Netherlands in 1937. Adolf Friedrich led scientific research expeditions in Africa, and he was the last governor of German Togoland (today part of Togo and Ghana), serving from 1912 until 1914. Although this article suggests that Adolf Friedrich was a favored candidate for the throne of Finland, he was actually tapped in the summer of 1918 to serve as the sovereign Duke of the United Baltic Duchy, a proposed state under the umbrella of the German Empire located in present-day Estonia and Latvia. He never assumed the office. 2. Emperor Wilhelm II of Germany (1859-1941) was the last kaiser of Germany, ruling from his father's death in 1888 until November 1918. He was the son of Emperor Friederich III of Germany and his British-born consort, Princess Victoria. He married twice: first to Princess Augusta Victoria of Schleswig-Holstein (1858-1921), and then after her death to Princess Hermine Reuss of Greiz (1887-1947). His first marriage produced six sons and a daughter, Viktoria Luise, who was the mother of Queen Friederike of the Hellenes. By the middle of September 1918, Wilhelm's support within Germany was teetering, as the war began drawing to a close. The Allies' Hundred Days Offensive, the campaign which ended the war, was in full swing, with battles near the Hindenberg Line on the horizon. Prince Maximilian of Baden (1867-1929) took over as chancellor in October and was immediately tasked with negotiating an armistice. (Interestingly, Prince Maximilian's daughter, Princess Marie Alexandra, would later marry Prince Wolfgang of Hesse -- whose father, Prince Friedrich Karl, is the subject of this article.) Kaiser Wilhelm II abdicated on November 9, 1918, and the next day, he fled into exile in the Netherlands. The Treaty of Versailles included a provision that would have allowed Wilhelm to be prosecuted for war crimes, but Queen Wilhelmina and her government refused to extradite him, and he lived the rest of his life in a Dutch country house, Huis Doorn. 3. Prince Friedrich Karl of Hesse (1868-1940) was the head of the House of Hesse from 1925 until his death in 1940. He was the third son of Landgrave Friedrich Wilhelm II of Hesse and his second wife, Princess Anna of Prussia, but he was raised in Denmark, where his uncle and aunt reigned as King Christian IX and Queen Louise. (Friedrich Karl's grandmother was Princess Charlotte of Denmark.) 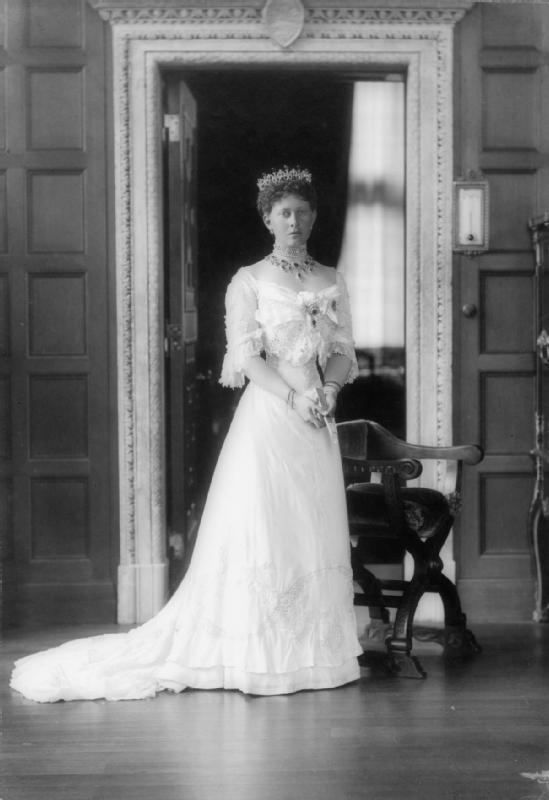 In 1893, Friedrich Karl married Princess Margarethe of Prussia, the youngest child of Emperor Friedrich III of Germany and a granddaughter of Queen Victoria of the United Kingdom. The marriage produced six sons, two of whom had died in battle by the autumn of 1918. Following Finland's independence from Russian in December 1917, and a subsequent civil war, Friedrich Karl was elected as the new King of Finland in October 1918. The election of Kaiser Wilhelm's brother-in-law was engineered by Finland's pro-German prime minister, Juho Kusti Paasikivi. Plans for a constitution establishing a constitutional monarchy were drawn up, as were designs for a crown. Friedrich Karl would be known as King Kaarle I. But following the German surrender and Kaiser Wilhelm's abdication, even the pro-monarchy members of the Finnish government decided it wouldn't be a good idea to enthrone a new king with such strong German ties. Friedrich Karl was asked to renounce the throne, which had never completely existed in the first place, and he did so on December 14, 1918. Finland subsequently became a republic. 4. Landgrave Alexander Friedrich of Hesse (1863-1945) was the second son of Landgrave Friedrich Wilhelm II of Hesse and his second wife, Princess Anna of Prussia. He was visually impaired from birth. In 1925, he married Baroness Gisela Stockhorner von Starheim (1884-1965), a lady-in-waiting to one of his cousins, Grand Duchess Hilda of Baden; the marriage was morganatic. Ten days before the wedding, he abdicated his position as head of the House of Hesse in favor of his younger brother, Prince Friedrich Karl. 5. Landgrave Friedrich Wilhelm III of Hesse (1854-1888) was the eldest son of Landgrave Friedrich Wilhelm II of Hesse and his second wife, Princess Anna of Prussia. Raised in Denmark, he inherited the title of Landgrave of Hesse on his father's death in 1884. Contrary to this article's claims, Friedrich Wilhelm's death was not so mysterious, though it certainly was tragic: while sailing from Jakarta to Singapore in October 1888, he fell overboard and drowned. Contemporary news reports from Britain detailed his royal connections: "The Landgrave Frederick William of Hesse, who was drowned last week when travelling in the East Indies, was a grand-nephew of the Duchess of Cambridge, a nephew of the Queen of Denmark, and first cousin of the Princess of Wales and the Duchess of Connaught." 6. Princess Margarethe of Prussia (1872-1954) was the youngest child of Emperor Friedrich III of Germany and Princess Victoria of the United Kingdom. Known as "Mossy" within the family, she was named in honor of her godmother, Queen Margherita of Italy. 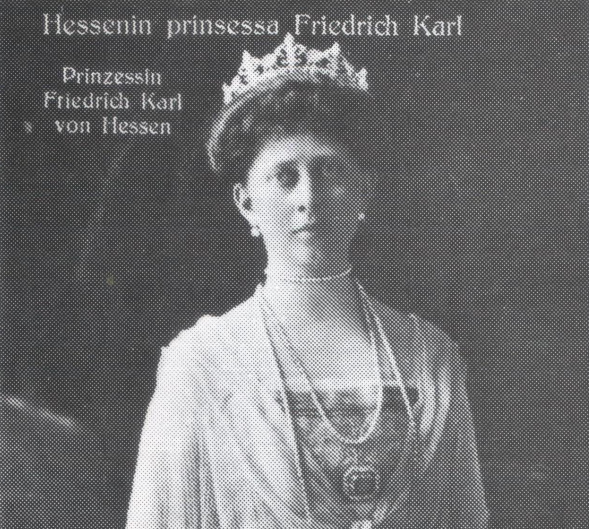 In January 1893, she married a second cousin, Prince Friedrich Karl of Hesse; their shared great-grandfather was King Friedrich Wilhelm III of Prussia. The marriage produced six sons, including two sets of twins, but the family was scarred by war. Margarethe's eldest sons, Prince Friedrich Wilhelm and Prince Maximilian, were both killed in action in World War I, and her youngest son, Prince Christoph, was killed in a plane crash during World War II. Two of her daughters-in-law were also killed during World War II: Princess Marie Alexandra of Baden, wife of Prince Wolfgang, died during an air raid while serving as an aid worker in Frankfurt, while Princess Mafalda of Savoy, wife of Prince Philipp, died in Buchenwald concentration camp. 7. Princess Victoria of the United Kingdom, Princess Royal (1840-1901), better known to history as Empress Frederick, was the eldest child of Prince Albert and Queen Victoria of the United Kingdom. Bright and precocious, one of Vicky's first encounters with her future husband, Emperor Friedrich III of Germany, came when she gave him a German-language tour of the Great Exhibition in 1851; she was eleven, and he was nineteen. They became engaged four years later, and in 1858, they married at the Chapel Royal at St. James's Palace in London. 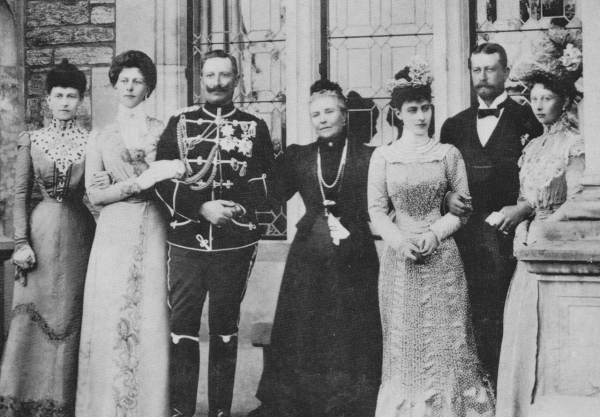 The marriage produced eight children, including Emperor Wilhelm II of Germany and Queen Sophie of the Hellenes. Friedrich and Victoria shared progressive views and liberal politics, something that put them in generational conflict with other members of the Hohenzollern family -- including their son, the future Kaiser Wilhelm. When Vicky's father-in-law, Emperor Wilhelm I, died in 1888, Friedrich was already suffering greatly from the cancer that would kill him. Vicky wrote that she felt she and Friedrich were simply "shadows ready to be replaced." Friedrich III died in June 1888, following a reign of only 99 days. In her widowhood, Vicky clashed with her eldest son, who forced her to retreat from any public role. She occupied herself in part with the construction of Schloss Friedrichshof, a palatial home in Kronberg im Taunus. She died of breast cancer at Friedrichshof in the summer of 1901, less than a year after the death of her mother, Queen Victoria. 8. Princess Margarethe's jewel collection was vast, encompassing pieces inherited by her mother and the jewelry owned by the Hesse family. The jewels were stored at Friedrichshof, the grand home she inherited from her mother in 1901. During World War II, Margarethe's son, Prince Wolfgang, had the jewels hidden away in one of the cellars of the house for safekeeping. But Friedrichshof (also called Kronberg Castle) was used as an officer's club during the period of American occupation, and in November 1945, the jewels were discovered and stolen by the officer who managed the club, Captain Kathleen B. Nash; her future husband, Colonel Jack W. Durant; and another accomplice, Major David F. Watson. The jewels were taken out of the country. In 1946, Margarethe went to retrieve some of the jewels for the wedding of her widowed daughter-in-law, Princess Sophie of Greece and Denmark, and discovered that they had been stolen. The culprits were caught and court-martialed for stealing both the personal property of Prince Wolfgang and property belonging to the United States, but only a small number of the stolen jewels were recovered and returned. The court-martial papers include the list of items stolen; just to give you a sense of the size of the haul, they took at least six tiaras alone (!). 9. Maria de Brignole-Sale, Duchess of Galliera (1812-1888) was a wealthy Italian philanthropist who was descended from an important Genoese aristocratic family. She married Raffaele de Ferrari, Duke of Galliera (1803-1876) in 1828. Their only child to survive to adulthood, Filippo, became an eccentric stamp collector. On her death in 1888, Maria bequeathed a large sum of money to Empress Frederick, who used the funds to help in the construction of Schloss Friedrichshof. 10. Schloss Friedrichshof was built between 1889 and 1893 for Empress Frederick as both a home and a memorial to her late husband, Emperor Friedrich III of Germany. She bequeathed the home to her youngest child, Princess Margarethe, and it still belongs to her descendants today. The property is now a five-star hotel. 11. Sir Richard Wallace, 1st Bt. (1818-1890) was a famous British art collector. He was likely an illegitimate son of the 4th Marquess of Hertford, whose art collection he inherited and used as the basis of his own expanding trove. After his death, his widow donated his art collection to the nation. Sir Richard and Lady Wallace were friends of Empress Frederick, who visited them at Hertford House and signed the guestbook. 12. Helsingfors is an old name for Helsinki, the capital of Finland. 13. Princess Anna of Prussia (1836-1918) was a granddaughter of King Friedrich Wilhelm III of Prussia. Although she was pursued by Emperor Franz Josef of Austria, she became the second wife of Landgrave Friedrich Wilhelm II of Hesse in 1853. Her husband never quite recovered emotionally from the traumatic death of his beloved first wife, Grand Duchess Alexandra Nikolaevna of Russia, in childbirth, but he and Anna produced six children nonetheless. Beautiful and intelligent, Anna was a trained classical pianist. Her controversial conversion to Roman Catholicism came in 1901. 14. Prince Friedrich Karl of Prussia (1828-1885), a grandson of King Friedrich Wilhelm III of Prussia, was an uncle of Prince Friedrich Karl of Hesse. He was the father of Princess Luise Margarete of Prussia, who married the Duke of Connaught (a son of Prince Albert and Queen Victoria). Friedrich Karl's descendants sit on the thrones of Sweden and Denmark today. 15. Prince Karl of Prussia (1801-1883), a younger son of King Friedrich Wilhelm III of Prussia, was the father of both Princess Anna of Prussia and Prince Friedrich Karl of Prussia. His brother reigned as Emperor Wilhelm I of Germany. 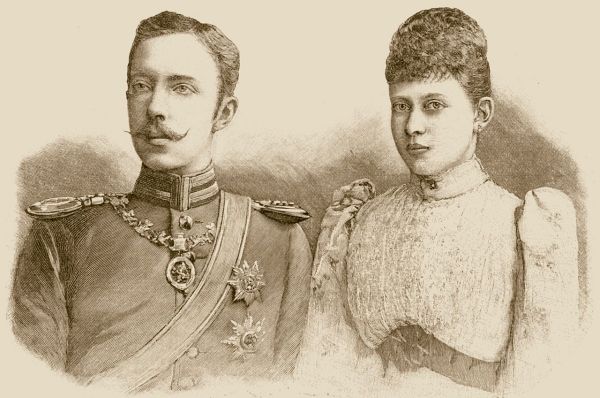 His death in 1883 required the postponement of the silver wedding anniversary festivities of his nephew and niece, Crown Prince Friedrich (later Emperor Friedrich III) and Crown Princess Victoria of Germany. 16. Duchess Luise of Mecklenburg-Strelitz (1776-1810), best known to history as Queen Louise of Prussia, was the consort of King Friedrich Wilhelm III of Prussia. Luise was a daughter of Duke Karl of Mecklenburg-Strelitz (and therefore a niece of Queen Charlotte of the United Kingdom). She gave birth to nine children before dying at the age of 34. She is perhaps most famous, however, for her summit with Napoleon in 1807. 17. Prince Friedrich Wilhelm of Hesse (1893-1916) was the eldest son of Prince Friedrich Karl and Princess Margarethe. Although this article depicts him as still living in September 1918, he was killed in September 1916 while fighting in Romania. 18. Prince Maximilian of Hesse (1894-1914) was the second son of Prince Friedrich Karl and Princess Margarethe. He died in Belgium after being wounded by machine gun fire in October 1914. His body was eventually returned to his family, but only after the British government stepped in to help.